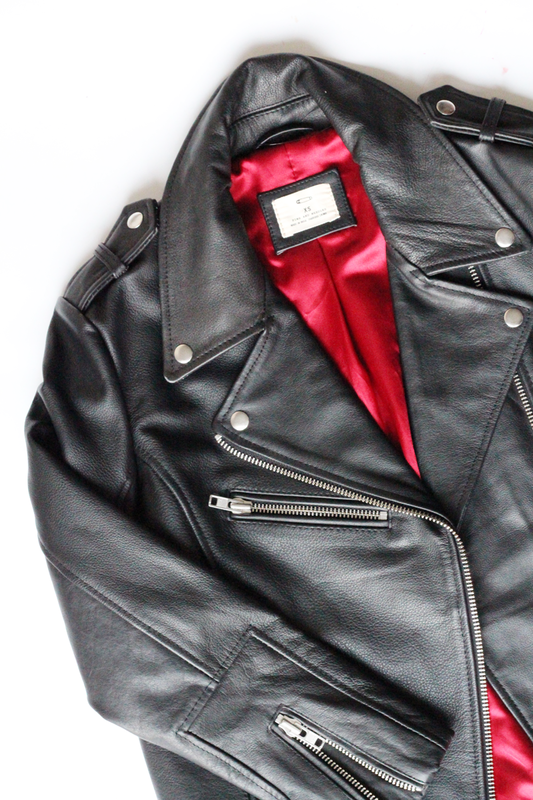 The Leather Jacket | Probably one of the most sought after items in my whole collection, I’m so glad I found the perfect one. I think leather jackets are such wardrobe must haves (and they don’t have to be biker styles ones too) as they go with absolutely everything! You can throw them on with jeans, layer them up with shirts and jumpers or team with a dress to give it an edge. Plus, if you buy real leather, they’ll last you years and years and only get softer with use! The Shoes | 1. Black Leather Boots: Similarly to a leather jacket, black boots go with oh so many wardrobe items. I am a bit of a black boot addict, I will admit, but I know that a lot of them (especially my Acne Pistol Boots, they seems to be indestructible) will last me forever. Pick up a style that isn’t too crazy and one you’d probably class as ‘basic’, as they’ll be worth the investment and your cost-per-use will be teeny! 2. Black Flats: Perfect for every day use, job interviews, being around the office and the weekends. 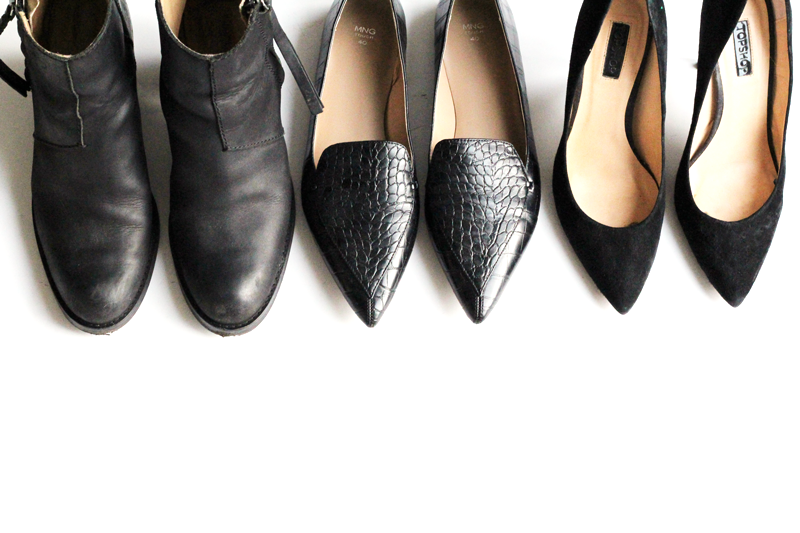 Everyone should own a pair of black flats. Whether you go for ballet style, loafers or lace ups, it would blow my mind if you didn’t have a pair in your collection. 3. Black Heels: Suede or leather, these are the ideal option for so many occasions. They’ll see you through date nights, meetings, that christening that you forgot about and have you looking chic too. Get a pair that fit well and you can actually walk in, as they’ll last you years! The White Shirt | Another must have. I prefer slightly softer cotton or silky shirts than the stiff collared ones, but they’re perfect for wearing along tucked into jeans or layered under a jumper when it’s cold. You literally can’t go wrong with one! 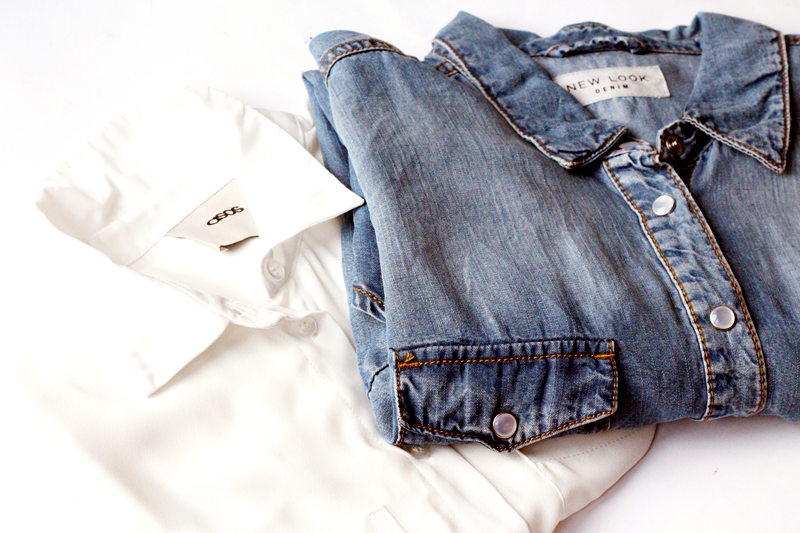 The Denim Shirt | Similarly to the above, I really love having a good denim shirt in my collection too. Wear alone for a double-denim look, layer under a leather jacket with jeans or again, under a jumper for an extra layer of warmth. They look good from S/S to A/W, too, as they’re so versatile! 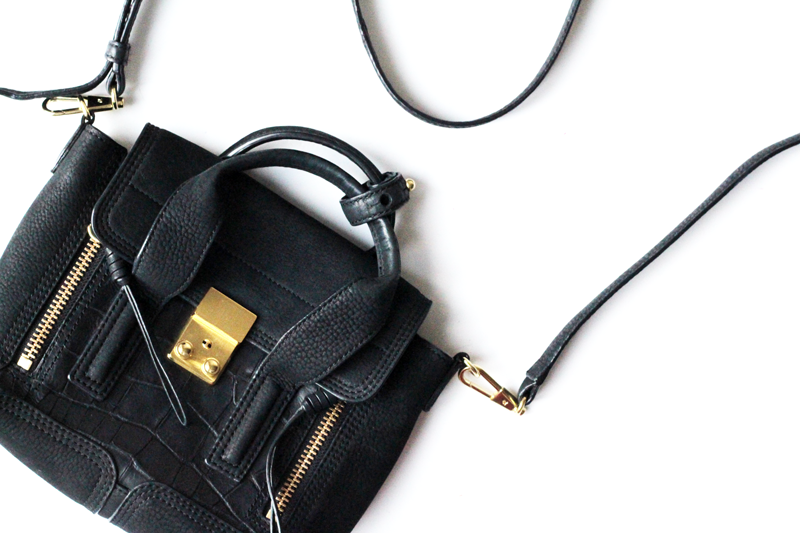 The Practical Black Bag | Everyone needs a good, practical, every day black bag. You know the one, it fits in your purse, keys, makeup, notebook or maybe an ipad. The daily essentials, all housed in one chic little bag. It doesn’t have to be designer, obviously, but pick the right one and it’ll transition you from season to season overt the years! So that’s the first part of my wardrobe staples – let me know if you’d like me to do another one and what your must-haves are? Make sure you check out my blog sale! It has to end this week.